Shake up the training session with an “old school” approach to exercise. 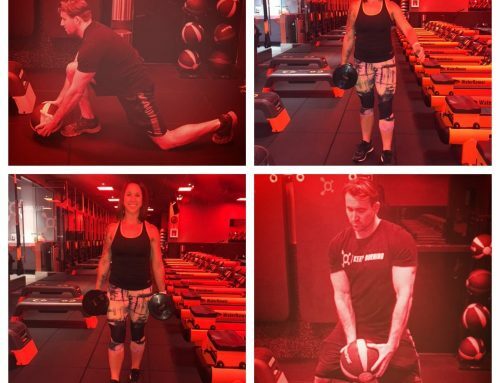 This is a fun way to get your client moving and eliminate boredom from a repetitive routine, especially if the client and trainer have been together for a long time. Rather than hitting the gym, hit the playground. 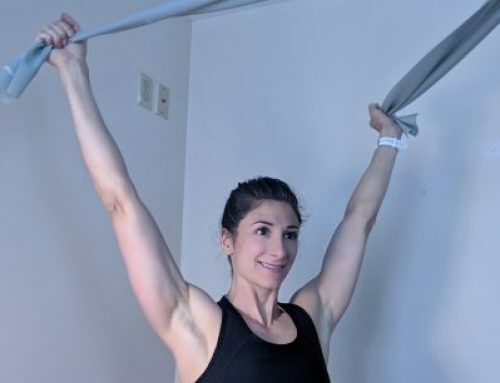 This Old School workout is especially effective for the middle age group because they can relate to these playful exercises. But it also works well with anyone open to it. The workout targets large muscle groups and is heavy on cardio. These childhood exercises are ideal for burning calories, getting the heart rate up and using the core. You can adjust the timing of the circuits and the music to suit your client’s needs and interests. Most importantly, have fun with it. Set up a circuit workout indoors or out (preferred) depending on weather. The fresh air ties in with the old days of playgrounds with slides and swing sets. Minimal props are needed, although setting up ahead of time is necessary. Stations: warm-up and cooling down in one spot, windmills, jumping rope, hopscotch, rocking chair, jumping jacks and hula hoops. Draw a large circle on the ground with chalk or mark it off with rope. This is the warm-up and cool-down area. Warm-up by marching in place moving arms and legs for 45 seconds facing forward. Have the client turn to the right and repeat the sequence, then right again to face opposite of where they started. Forty-five seconds here and turn right again to repeat. At the beginning of each rotation, have the client name one of their favorite foods as a kid. This is a good mental distraction and sets a positive tone for the session. At the end of the fourth march, this completes a little over a three-minute warm-up. Mark a “W” for the windmill station. The client bends forward at the waist with legs wider than hip distance apart and arms stretched out to the sides. Their head should be level with their back to protect the neck. Knees should be slightly bent. 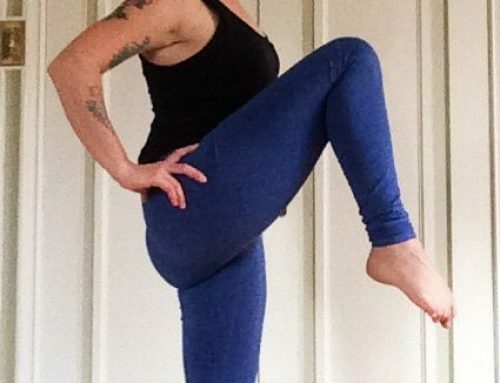 As they twist at the waist, the right-hand reaches toward the left toe as the left arm reaches upward. Arms rotate as the left arm reaches for the right toe and the left arm is extended. Be sure the motions are slow and controlled. Rest after one minute and repeat. Jumping rope is an excellent way to burn calories and get some serious cardio. According to WebMD.com, jumping rope is similar to running an eight-minute mile in terms of calorie-burning. 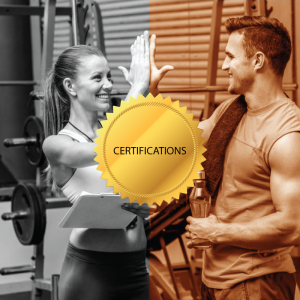 Have your client jump 20-50 times depending on their ability and fitness level. This might take a few starts if it’s been a while since they jumped rope. Allow them to rest in between as needed. 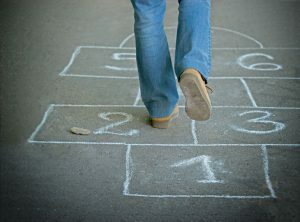 Draw a hopscotch design on the ground with one square followed by two squares with at least five sets of the pattern. Number each square. Have the client skip tossing the rock in a usual hopscotch game and proceed to hop through the squares beginning with the right foot. At the last individual square, have them reach to the ground balancing on one leg then raising back up to work the glutes. The client turns around and repeats this back to the starting point. Do this routine 5 times. It almost always brings a smile. The rocking chair station can be marked with an “R”. The client squats as their arms reach forward and up, before returning back to standing and the arms by their sides. The idea is to glide through this movement using the upper and lower body in a synchronized motion. Do 3 sets of 10 rocking chair reps, rest, repeat. You can add light weighted dumbbells to make it more challenging. Jumping jacks can be done on a soft surface. Mark the area with a “J” and have the client do 20-25 jumping jacks, rest, repeat. Give three minutes for your client to attempt to hula hoop with their waist. This usually finds them laughing and eventually mastering this great abdominal exercise. Once the three minutes have passed, have the client hula hoop in the opposite direction. Then, have them hold the hula hoop in their hands to stretch up and gently to each side. Repeat the entire circuit beginning with windmills and cooling down at the end of the second completed round. The cool-down is the same as the warm-up, but the client marches in place turning to the left each time. As they cool down, have them name their favorite games they played as a child. This Old School circuit workout is approximately 45 minutes long. Since the trainer will need to demonstrate the exercises and rest times could be extended, the workout time may last an hour. As always adjust as needed based on your client. This routine is proof that exercise can be effective and fun at the same time. Break a sweat, laugh a little and remember the days of jump ropes and hula hoops. 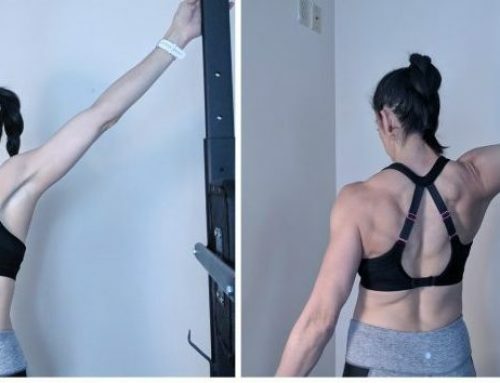 Kim Becknell Williams is a professional writer and editor with eight years of personal training experience (NFPT certified with master level: resistance, endurance and sport nutrition). She wrote a book “Gym Etiquette 101” that’s available through Amazon, Barnes & Noble and Books-A-Million. While she loves to write about many things, exercise and fitness are high on that list.